It is exactly what the poster above says! 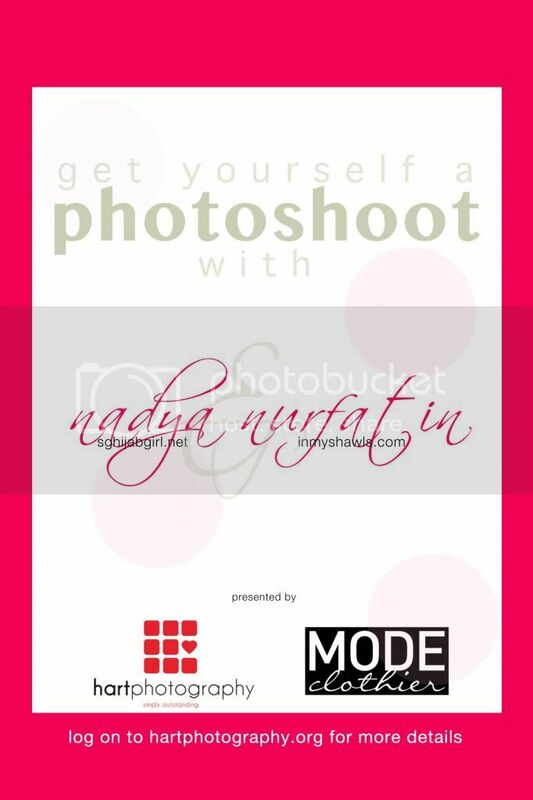 You have a chance at winning a photoshoot session by hart photography with both me and Nadya from sghijabgirl! If that is not enough, MODE Clothier is also giving away a $50 shopping voucher! All you have to do is enter this very easy competition. So how do you enter this competition, you ask? 2) The more Shares, Likes & Tags, the higher your chances of winning! So go on, download this poster and start sharing! Remember the more platforms you share, the higher your chances of winning! You have beautiful style! Your photoshoot looks like heaps of fun!